After an accidental overpressurization of gas lines left hundreds without gas service in Woburn, National Grid says it could be another three days until service is restored for everyone. But residents say they just want it all done safely, with what happened in the Merrimack Valley still top of mind. Massachusetts' Department of Public Utilities has ordered National Grid to halt all non-emergency and compliance work pending the results of a review of the company's safety practices. “In addition, the Department is requiring National Grid to have an inspector on location for all work that could lead to abnormal pressurization until this review is complete. Separately, the Department is in the process of hiring an Independent Evaluator to assess, out of an abundance of caution, the safety of pipeline infrastructure throughout Massachusetts,” said Peter Lorenz, EEA. The announcement comes following an incident Monday in Woburn where hundreds of gas meters were shut off due to an overpressurization issue, according to police. The overpressurization occurred shortly before noon Monday in the area of Lowell and Wyman streets, near Hurld Wyman Elementary School. The school is closed for Columbus Day. Woburn ordered a moratorium on non-emergency work by National Grid after over-pressurization forces mass gas shutoff. Homeowners in a Woburn neighborhood were watching from their doors as utility crews worked on the streets. National Grid workers went door to door turning off meters and checking gas levels. About 300 homeowners in the impacted area are dependent on gas. The company told residents everyone is safe and nobody had to evacuate. 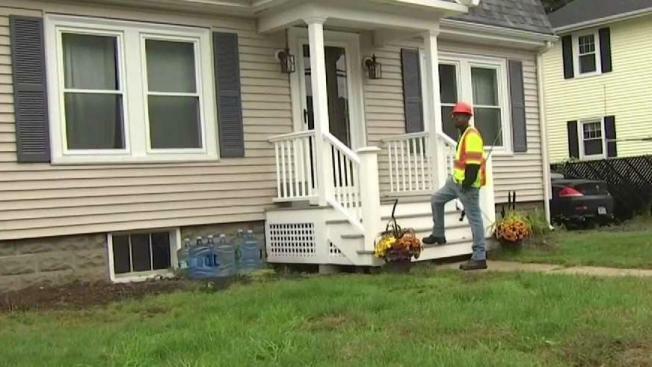 No evacuations were necessary after gas meters where shut off in Woburn on Monday afternoon, but given the recent Merrimack Valley gas explosions, residents were on alert. "There's absolutely no harm to anybody. Everybody is safe," Woburn Mayor Scott Galvin said. Less than a month since a similar issue involving Columbia Gas in the Merrimack Valley--which led to dozens of explosions and fires and the gas turned off for at least another month--residents in Woburn know it could have been a lot worse. "That's a huge concern when you have natural gas, you know, and you see what happened up there and you obviously don't want it to happen again," said Bob Johnstone, a Woburn resident whose gas was shut off Monday. "It's very, very frightening," added Ruth Kichton, another customer who was left without gas following Monday's incident. "Now I don't know how long it will be before they come in, because they have to re-light it, you know, like they did in Lawrence. It's very frightening." 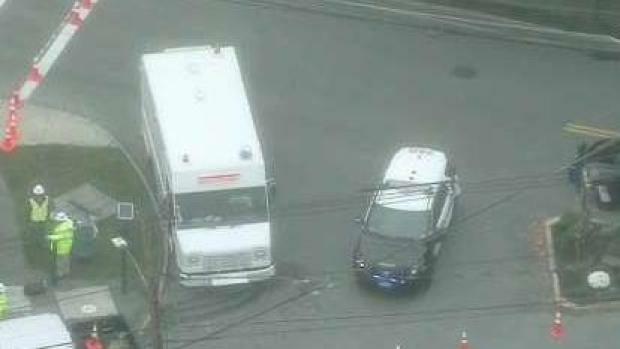 Gas being shut off to homes in Woburn, Mass. due to over pressurization of gas lines. Homeowners are very grateful the problem was caught quickly and they’ll only be without gas for a few days, coping with very different circumstances than the residents of Lawrence, Andover and North Andover. "While performing routine maintenance on a regulator station at Wyman and Hart streets in Woburn at approximately 11:30 a.m. Monday, a National Grid gas technician inadvertently introduced excess gas into a portion of our system," National Grid said in a statement. "The crew quickly recognized the error and within minutes, reduced the system to normal operating pressures. 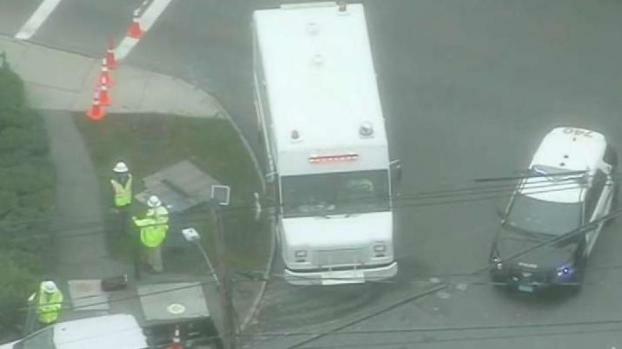 The area is safe, and National Grid has the situation under control." A similar overpressurization issue was cited prior to the gas-fueled explosions and fires that killed one and injured 25 others in Lawrence, Andover and North Andover last month. But National Grid officials said Monday's incident was "completely unrelated" to those issues. "It was a pretty good concern, for everything else that seems to be happening around the state," Woburn Fire Chief Stephen Adgate said. "But we quickly came to the determination that it was being handled properly and the concern probably is not to the degree that it was in another community. We're confident that everything is going according to plan." Homeowners are understandably concerned after what happened in the Merrimack Valley just a few weeks ago. National Grid said there is no apparent damage to the system, which feeds approximately 300 homes through 3 miles of pipe. The system will be fully assessed before gas service is returned to the affected home, which may not be until Thursday. The affected area runs from Wyman and Lowell streets to the eastern end of the city near Mishawum Road. More than a dozen locked out National Grid employees were seen picketing in the area in the wake of Monday's incident. Union workers have been off the job since June over a contract dispute and say this is exactly the kind of mistake they have been warning about. But National Grid said the crew that was involved Monday was made up of management employees, gas technicians who have been with the company for decades and would normally be supervising the union employees.